Among the many frustrations surrounding Roseanne Barr’s recent decision to be the person she already was, but louder—and, thus, cross the line that apparently allowed ABC to ignore her various past indiscretions in the interest of keeping the hit revival of her blue-collar sitcom on the air—is the fact that it’s put a lot of other supremely talented people out of work. Roseanne boasted a pretty staggering array of talent both behind (including consulting producer Wanda Sykes and sitcom veteran Bruce Helford) and in front of the camera, including great performers like Sara Gilbert, Lecy Goranson, and recent Oscar-nominee Laurie Metcalf. 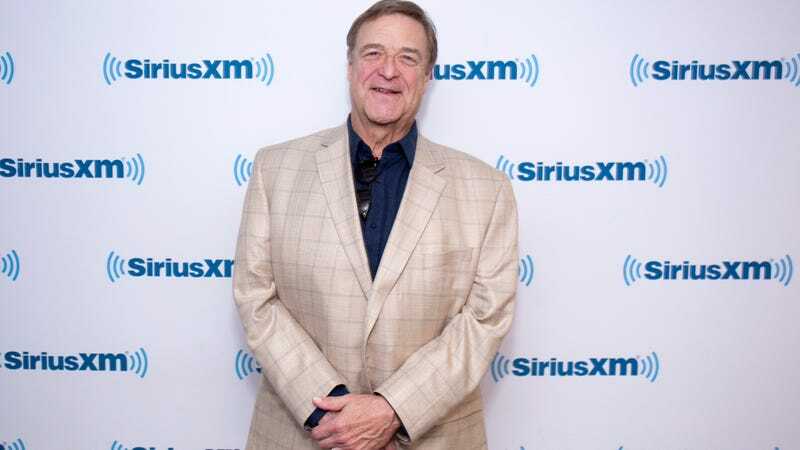 Few of the show’s characters had to travel further to return than John Goodman’s Dan Conner, though, who dragged himself out of the grave to return to the now-shuttered series. But don’t worry about ol’ John Goodman, folks: He’s doing just fine. As to speculation that the network might try to revive the show without Barr, Goodman made it clear that he hasn’t been part of any talks on the subject, telling reporters, “Then you’ve heard more than I have” when they brought up the rumors.